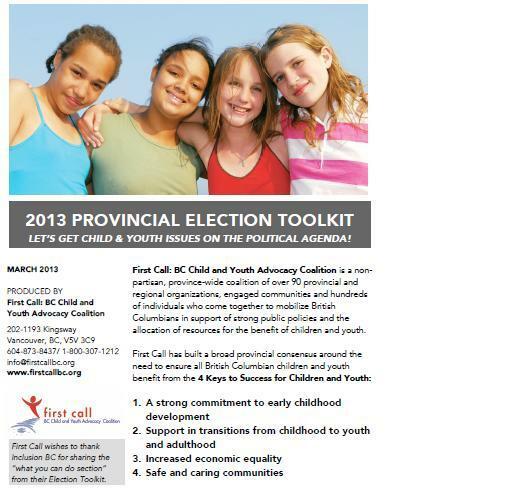 LET’S GET BC’s CHILDREN & YOUTH ON THE POLITICAL AGENDA! Research has long demonstrated that poverty is toxic to children’s health and development. From poor nutrition to family stress to exclusion from social participation, there are many ways poverty is known to raise the risk of life-long ill effects on health and reduce opportunities for individuals to realize their full potential. Growing income inequality in BC is recognized as a threat to the health of both individuals and our society. Like First Call on Facebook! Follow First Call on Twitter!